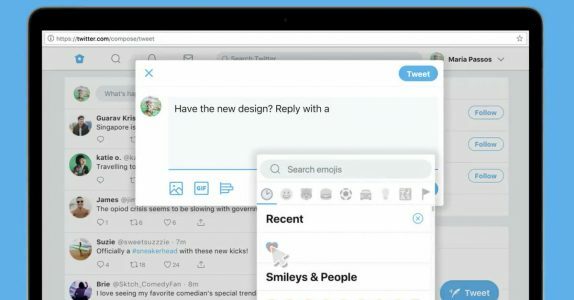 The Twitter Official web is getting a new interface that brings several key features including a newly designed emoji button, quick keyboard shortcuts, upgraded trends, advanced search, and more. Furthermore, the company is also working towards bringing easier ways to switch between your accounts, faster load times, and cropping your image before you Tweet it. An updated trending section appears on the right-hand side of the page. The Twitter full site desktop version has been cut down from three columns into two, in order to make it easier to both read and send tweets. It should be noted that none of these changes are part of the Twitter previously announced updates. Twitter Official says that these new desktop features would be available as an opt-in to some, but it is not clear if it would be random or manual.